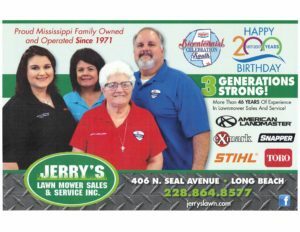 About Us | Jerry's Lawn Mower Sales & Service, Inc.
We’ve been Snapper mower dealers for as long as I can remember. I always tell people that when you cut my veins, little Snapper turtles run out! 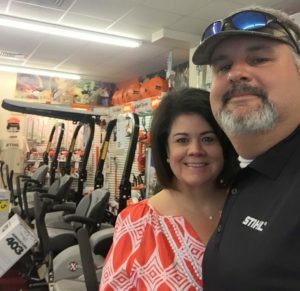 My dad, Jerry Favre, started this business in 1971 by taking in a few mower repairs when he was temporarily laid off from his welding job at the shipyard. 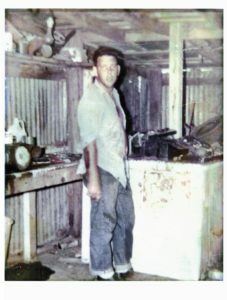 He had a love for and a natural ability to fix any kind of engine. 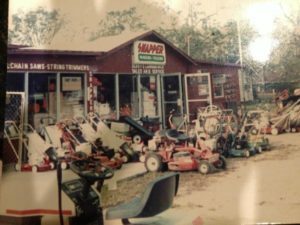 Soon, those few mower repairs became more and more and he moved his operation from his carport to an old shed in the backyard. 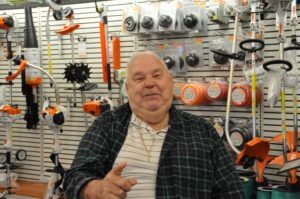 The local Simplicity/Snapper dealer talked him into taking a few mowers to sale and as they say – the rest is history! 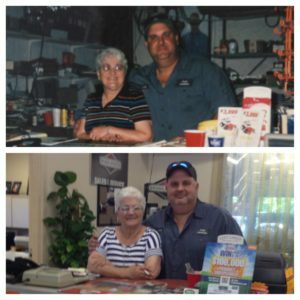 He and my mom, Conchetta Favre, worked many hours, took lots of risks and made Jerry’s Lawn Mower a successful business! I feel very fortunate that I inherited those mechanical genes and love for engines from my dad. I’ve been in the lawnmower business my entire life. It’s what I know and what I do best. My dad became ill in 1994 and it was then that we made the decision that I would take over the reigns of Jerry’s Lawn Mower. My wife, Holly Favre, eventually joined us in 1997 and my daughter, Franny Carpenter, joined us after graduating college in 2017. We have a great team of 8 employees, 6 of which are factory trained and certified small engine mechanics.